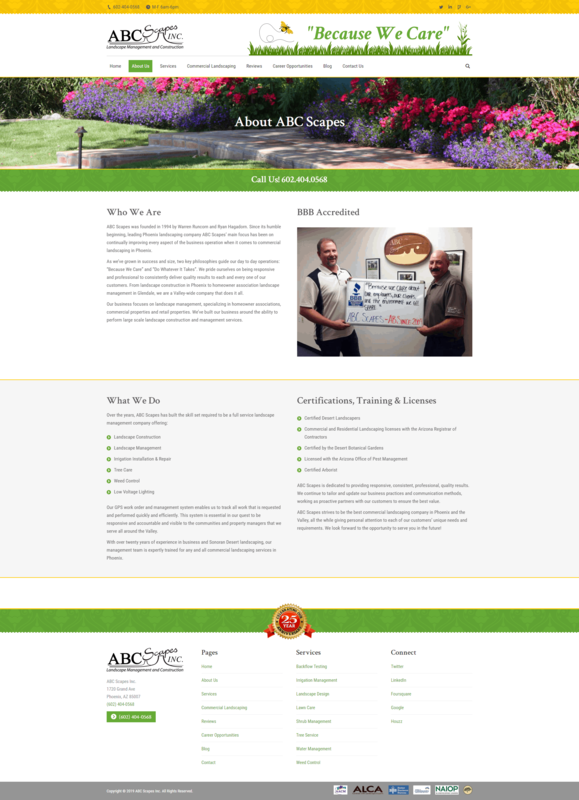 ABC Scapes was founded in 1994 by Warren Runcorn and Ryan Hagadorn. 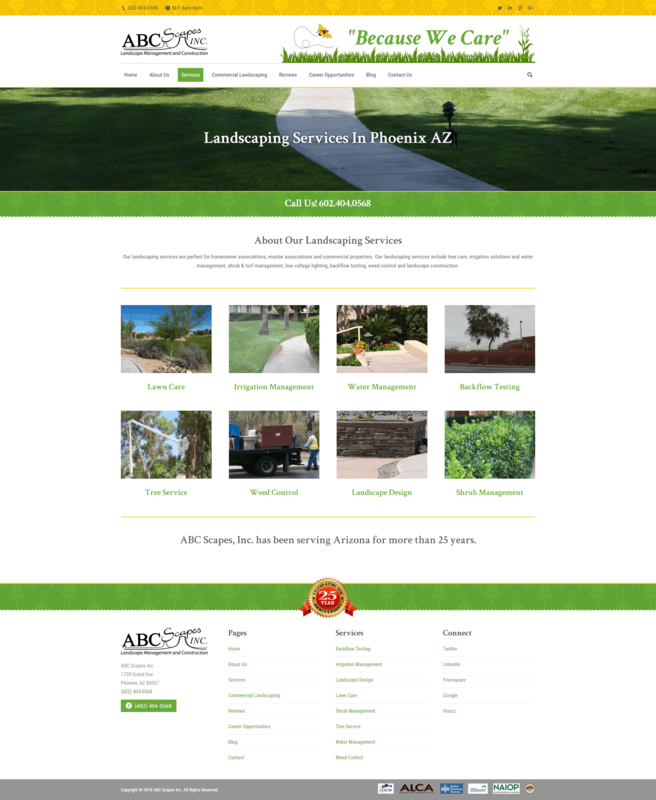 Since its humble beginning, leading Phoenix landscaping company ABC Scapes’ main focus has been on continually improving every aspect of the business operation when it comes to commercial landscaping in Phoenix. As we’ve grown in success and size, two key philosophies guide our day to day operations: “Because We Care” and “Do Whatever It Takes”. We pride ourselves on being responsive and professional to consistently deliver quality results to each and every one of our customers. 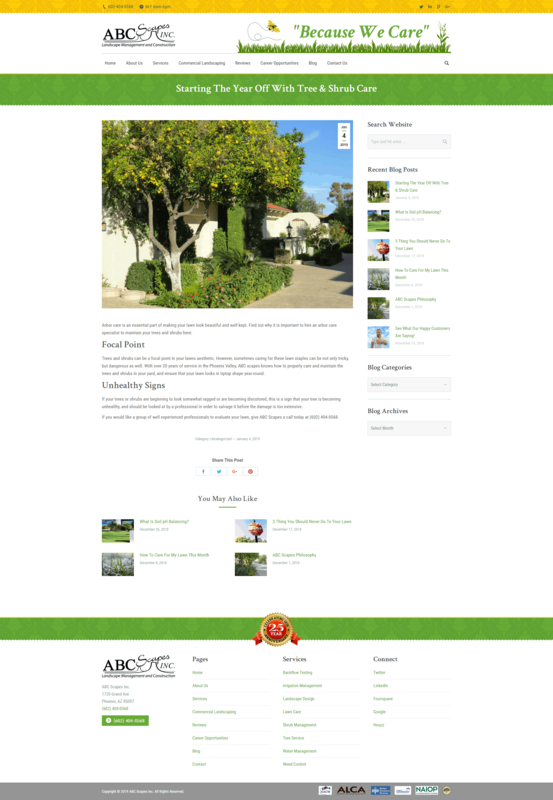 From landscape construction in Phoenix to homeowner association landscape management in Glendale, we are a Valley-wide company that does it all. Our business focuses on landscape management, specializing in homeowner associations, commercial properties and retail properties. We’ve built our business around the ability to perform large scale landscape construction and management services. 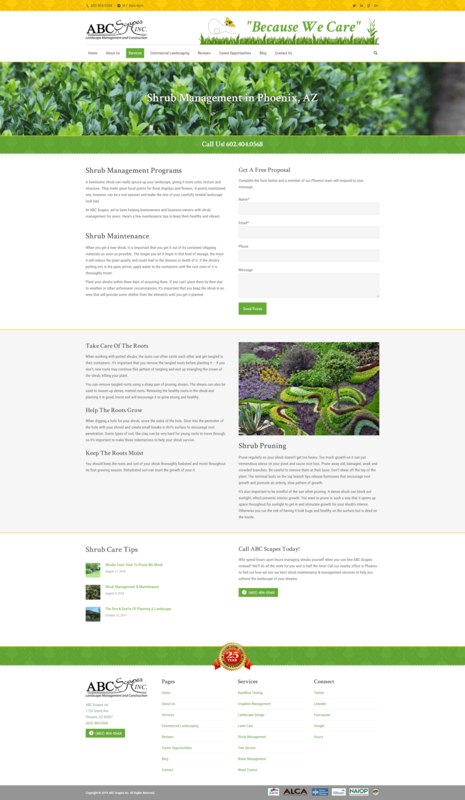 Problem: The client needed a way for their current customers to fill out a work order form online. 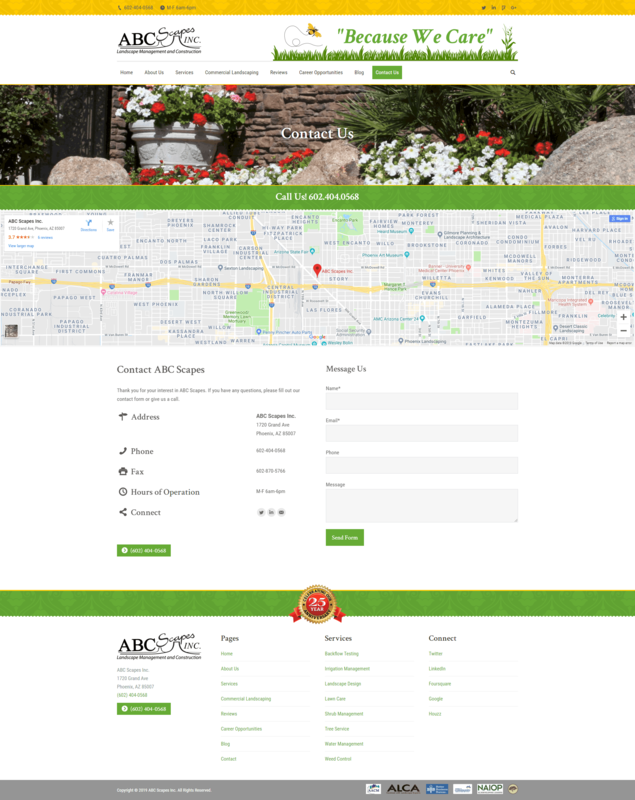 Solution: We created a form using Contact Form 7. The form data is stored in the WordPress database and is also emailed to the client.